"My purpose," Mahatma Gandhi writes of this book, "is to describe experiments in the science of Satyagraha, not to say how good I am." Satyagraha, Gandhi's nonviolent protest movement (satya = true, agraha = firmness), came to stand, like its creator, as a moral principle and a rallying cry; the principle was truth and the cry freedom. The life of Gandhi has given fire and fiber to freedom fighters and to the untouchables of the world: hagiographers and patriots have capitalized on Mahatma myths. Yet Gandhi writes: "Often the title Mahatma, Great Soul] has deeply pained me. . . . But I should certainly like to narrate my experiments in the spiritual field which are known only to myself, and from which I have derived such power as I possess for working in the political field." Clearly, Gandhi never renounced the world; he was neither pacifist nor cult guru. Who was Gandhi? 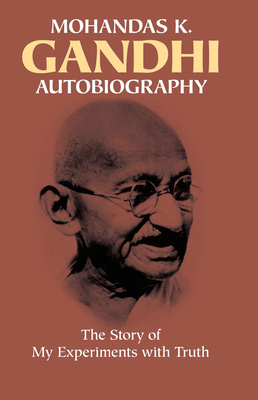 In the midst of resurging interest in the man who freed India, inspired the American Civil Rights Movement, and is revered, respected, and misunderstood all over the world, the time is proper to listen to Gandhi himself -- in his own words, his own "confessions," his autobiography.